A weather front is a boundary in between two masses of air of different densities and is the principal cause of significant weather. In surface weather analyses, fronts are depicted using various colored lines and symbols. The air masses separated by a front usually differ in temperature and humidity. Cold fronts may feature narrow bands of thunderstorms and severe weather, and may on occasion be preceded by squall lines or dry lines. Warm fronts are usually preceded by stratiform precipitation and fog. The weather usually quickly clears after a front passes. Some fronts produce no precipitation and little cloudiness, although there is invariably a wind shift. Gold formed the basis for the gold standard used before the fiat currency monetary system was employed by the International Monetary Fund (IMF) and the Bank for International Settlements (BIS). It is specifically against IMF regulations to base any currency against gold for all IMF member states. The ISO currency code of gold bullion is XAU. Chemically, gold is a trivalent and univalent transition metal. Gold does not react with most chemicals, but is attacked by chlorine, fluorine, aqua regia and cyanide. Gold dissolves in mercury, forming amalgam alloys, but does not react with it. Gold is insoluble in nitric acid, which will dissolve silver and base metals, and this is the basis of the gold refining technique known as "inquartation and parting". Nitric acid has long been used to confirm the presence of gold in items, and this is the origin of the colloquial term "acid test," referring to a gold standard test for genuine value. H is for the Heimlich Manouevre (sp). Heimlich first published his findings about the maneuver in a June 1974 informal article in Emergency Medicine entitled, "Pop Goes the Cafe Coronary." On June 19, 1974, the Seattle Post reported that retired restaurant owner Isaac Piha used the procedure to rescue choking victim Irene Bogachus in Bellevue, WA. From 1976-1985, the American Heart Association and American Red Cross choking rescue guidelines taught rescuers to first perform a series of backblows to remove the FBAO (foreign body airway obstruction); if backblows failed, then rescuers were taught to proceed with the Heimlich maneuver (a/k/a abdominal thusts). After a July 1985 American Heart Association conference, backblows were removed from choking rescue guidelines. From 1986-2005, the Heimlich maneuver was the only recommended treatment for choking in the published guidelines of the American Heart Association and the American Red Cross. Year 2005 choking rescue guidelines published by the American Heart Association ceased referring to "the Heimlich maneuver" and instead called the procedure "abdominal thrusts." The new guidelines stated that chest thrusts and back blows may also be effective treatments for choking. In Spring 2006, the American Red Cross "downgraded" the use of the Heimlich maneuver, essentially returning to the pre-1986 guidelines. For conscious victims, the new guidelines (nicknamed "the five and five"), recommend first applying five backblows; if this method fails to remove the airway obstruction, rescuers were to then apply five abdominal thrusts. For unconscious victims, the new guidelines recommend chest thrusts, a method first recommended in a 1976 study by Charles Guildner MD whose results were duplicated in a year 2000 study by Audun Langhelle MD. The 2006 guidelines also eliminated the phrase "Heimlich maneuver" and replaced it with the more descriptive "abdominal thrust." Dr. Heimlich's promotion of the use of abdominal thrusts in cases of near-drowning and to treat asthma has been dogged by allegations of fraud based on the research of his son, Peter M. Heimlich. The 2005 drowning rescue guidelines of the American Heart Association removed all citations or articles written by Dr. Heimlich and warn against the use of the Heimlich maneuver for drowning rescue as unproven and dangerous, since it may induce vomiting leading to aspiration. "I would like to get proper credit for what I've done," Patrick told me. "But I'm not hyper about it." Patrick's ex-wife Joy tells a different story: Whenever my kids would say "Heimlich maneuver," he would correct them and say, "Patrick maneuver." J is for Jiminy Cricket! Jiminy Cricket is a fictional character who first appeared in the 1940 Walt Disney animated film Pinocchio. He was appointed by the Blue Fairy to serve as the official conscience for Pinocchio. He is also a comical and wise partner who accompanies Pinocchio on his adventures. He is based on the unnamed talking cricket who plays a similar but smaller role in the original story of The Adventures of Pinocchio. extraordinarie..Hee hee.. Teacher and Student of all things great and small!! Willing to learn from one and all! Love to rhyme and read it too. Enjoying my time here with all of you!! The word love has many different meanings in English, from something that gives a little pleasure ("I loved that meal") to something one would die for (patriotism, family). It can describe an intense feeling of affection, an emotion or an emotional state. In ordinary use, it usually refers to interpersonal love. Probably due to its psychological relevance, love is one of the most common themes in art and music. Just as there are many types of lovers, there are many kinds of love. Though love is inherent in all human cultures, cultural differences make any universal definition difficult to establish. One definition attempting to be universally applicable is Thomas Jay Oord's: to love is to act intentionally, in sympathetic response to others (including God), to promote overall well-being. This definition applies to the positive connotations of love. Expressions of love may include the love for a "soul" or mind, the love of laws and organizations, love for a body, love for nature, love of food, love of money, love for learning, love of power, love of fame, love for the respect of others, etcetera. Different people place varying degrees of importance on the kinds of love they receive. According to many philosophers, the only goal of life is to be happy. And there is only one happiness in life: to love and be loved. Love is essentially an abstract concept, much easier to experience than to explain. Cartoon crickets? previous things without any science basis at all? Geologist and abuser of beavers. He is a geologist from the old school - when he didn't take a doctorate to get a teaching job, he saw a need in college to become well educated in the European fashion and has done that for himself since 1970. He has done consulting in hydrology (not his forte) petroleum, coal, environmental, and hydrothermal geology worldwide. He has also been the chief operating officer for an oil company. (c. 1800–1600 BCE)  with annotations. (Image by Bill Casselman)Numerical analysis is the study of algorithms for the problems of continuous mathematics (as distinguished from discrete mathematics). Photon = A particle or quantum of electromagnetic radiation. Since "Q" & "R" have just been quite deftly used up, It is "S" next. Tinnitus (pronounced /tɪˈnaɪtəs/ or /ˈtɪnɪtəs/, from the Latin word for "ringing") is the perception of sound in the human ear in the absence of corresponding external sound(s). Tinnitus can be perceived in one or both ears or in the head. It is usually described as a ringing noise, but in some patients it takes the form of a high pitched whining, buzzing, hissing, humming, or whistling sound, or as ticking, clicking, roaring, "crickets" or "tree frogs" or "locusts", tunes, songs, or beeping. It has also been described as a "whooshing" sound, as of wind or waves. 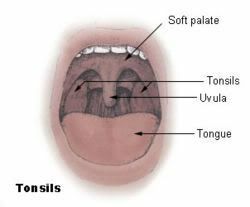 The uvula (pronounced /ˈjuːvjələ/) is a small, mucosa-covered set of muscles, musculus uvulae, hanging down from the soft palate, near the back of the throat. The word is derived from the diminutive of uva, the Latin word for "grape", due to the uvula's grape-like shape. An Indian Railways worker affected by varicose veins in Karnataka, India.Varicose veins are veins that have become enlarged and twisted. The term commonly refers to the veins on the leg, although varicose veins occur elsewhere. Veins have leaflet valves to prevent blood from flowing backwards (retrograde). Leg muscles pump the veins to return blood to the heart. When veins become enlarged, the leaflets of the valves no longer meet properly, and the valves don't work. One cause of valve failure is Deep Vein Thrombosis (DVT), which can cause permanent damage to the valves. The blood collects in the veins and they enlarge even more. Varicose veins are common in the superficial veins of the legs, which are subject to high pressure when standing. Besides cosmetic problems, varicose veins are often painful, especially when standing or walking. They often itch, and scratching them can cause ulcers. Serious complications are rare. Non-surgical treatments include sclerotherapy, elastic stockings, elevating the legs, and exercise. The traditional surgical treatment has been vein stripping to remove the affected veins. Newer surgical treatments are less invasive (see radiofrequency ablation) and are slowly replacing traditional surgical treatments. Since most of the blood in the legs is returned by the deep veins, and the superficial veins only return about 10%, they can be removed or ablated without serious harm. Varicose veins are distinguished from reticular veins (blue veins) and telangiectasias (spider veins) which also involve valvular insufficiency, by the size and location of the veins. The wagon-wheel effect is most often seen in film or television depictions of stagecoaches or wagons in Western movies, although recordings of any regularly spoked wheel will show it, such as helicopter rotors and aircraft propellers. It can also commonly be seen when a rotating wheel is illuminated by flickering light. These forms of the effect are known as stroboscopic effects and they arise from temporal aliasing: the original smooth rotation of the wheel is visible only intermittently. A version of the wagon-wheel effect can also be seen under continuous illumination. Page created in 0.276 seconds with 84 queries.